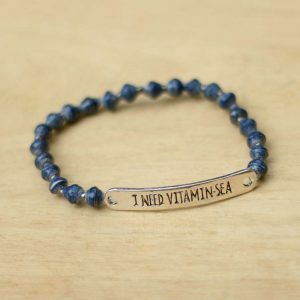 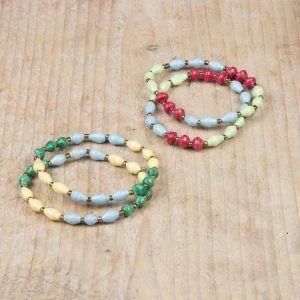 This is our favourite bracelet set! 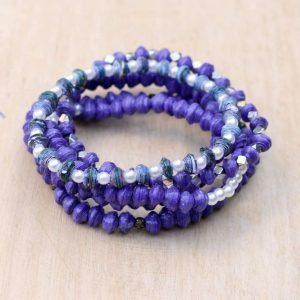 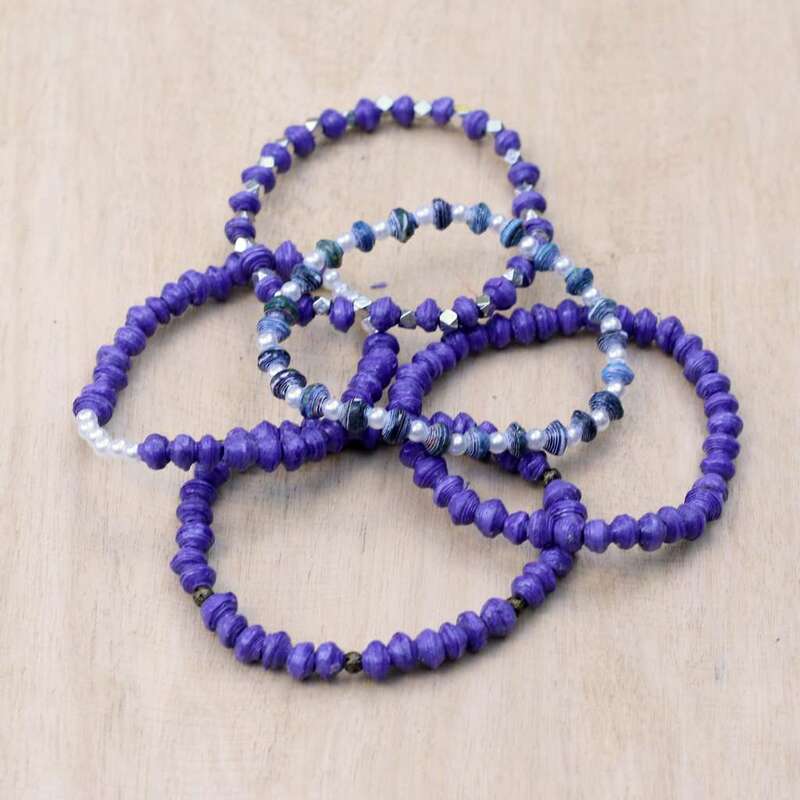 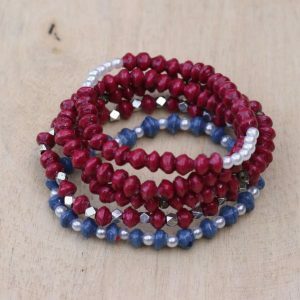 5 single strand bracelets are made from very tiny paper beads and are combined with various other beads. 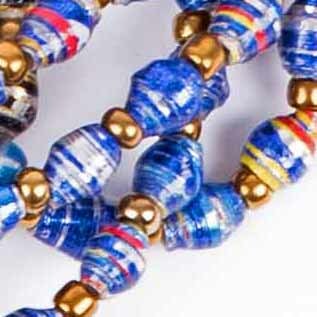 It takes a lot of work and precision to make the beads that small. 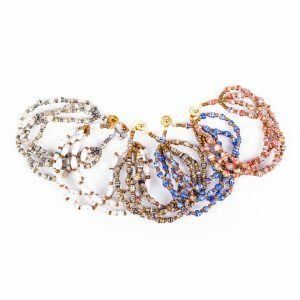 You can wear all 5 bracelets together or stack on only a few. 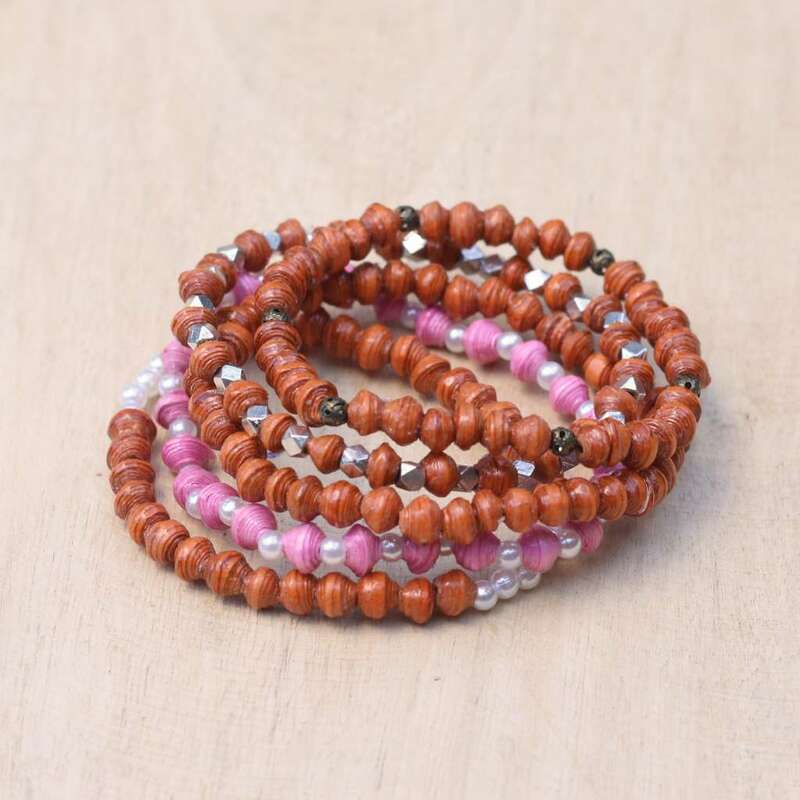 Of course they are also perfect to combine with your other jewellery and a sweet gift to a friend.